Published on October 13, 2015 in Events. 0 Comments Tags: John Robertson, Scitech, The Dark Room. There’s nothing quite like a hilarious evening spent with a maniacal floating head ushering you on a journey to certain doom. 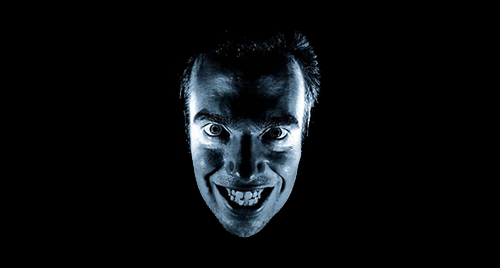 That’s right, Perth’s own John Robertson has returned and he is bringing the world’s only live-action videogame back with him as The Dark Room 2.0 descends upon Scitech for one night only. After 4,000,000 YouTube hits and sell-out shows in Edinburgh, London, Bristol, Hong Kong, Singapore and Sydney, THE DARK ROOM returns to Perth for just ONE SHOW in 2015. Using the Planetarium’s colossal screen, The Dark Room is an interactive comedy event like no other – can YOU escape? Revamped, revised and rewired for 2015, “if you’re the sort of person who enjoys innovative, interactive, nerdy comedy, you go to see The Dark Room…has become the cult hit of Fringe 2015” – Broadway World. Extra Notes: This event is suitable for 15 years and older, but all children must be supervised by a parent or legal guardian. There is a cash bar at the venue and valid ID will be required to purchase alcoholic items from the bar. For more information, head on over to Scitech’s official event page.